Office/Hours: PLC 471 on T/Th 10:45-11:45 a.m. Text: Frederic S. Mishkin, The Economics of Money, Banking, and Financial Markets, 7th edition (Addison Wesley: New York). Tests and Grading: There will be two midterm exams and a final. The midterms will be given Tuesday, October 17th and Thursday, November 9th. The final will be given on Friday, December 8th from 8:00 a.m. – 10:00 a.m. No make-up exams will be given. Each midterm is worth 30% and the final is worth 40%. Grades will be assigned according to your relative standing in the class. 5. What causes the SRAS curve to shift? Explain. 6. What causes the LRAS curve to shift, i.e. 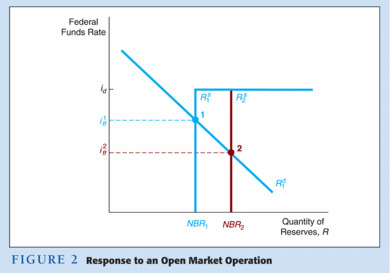 what factors affect the natural rate of output? Explain. 7. Do Monetarists agree with Friedman's contention that inflation is always and everywhere a monetary phenomenon? Explain using the AD-AS model. 8. Do Keynesians agree with Friedman's contention that inflation is always and everywhere a monetary phenomenon? Explain using the AD-AS model. 9. Explain how the pursuit of a high employment target by policymakers can lead to inflation. 10. Can budget deficits lead to inflation? Explain. 11. Why might governments choose to monetize the debt? 12. Explain the activist and non-activist positions on the use of government policy to stabilize macroeconomic variables such as real output. What problems are encountered in the pursuit of activist policies? 13. Explain and give an example of the Lucas critique. Why is this important? 14. What are the essential differences between the Classical, Keynesian, New Classical, and New Keynesian models? 15. Show that it is possible in a model with expectations (e.g. 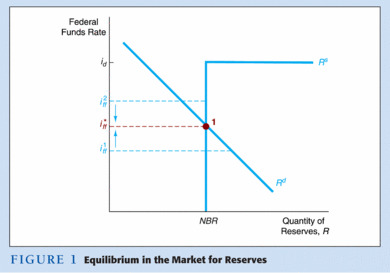 using the New Classical model) for an increase in the money supply to reduce output if the change in the money supply is smaller than expected. 16. Compare and contrast the effects of an unexpected increase or decrease in the money supply on prices and output in the traditional Keynesian, New Classical, and New Keynesian models. 17. Compare and contrast the effects of an expected increase or decrease in the money supply on prices and output in the traditional Keynesian, New Classical, and New Keynesian models. 18. Suppose the monetary authority wants to reduce the inflation rate. Compare the costs (in terms of output) of reducing inflation in the traditional Keynesian, New Classical, and New Keynesian models. Be sure to cover both an expected and an unexpected change in policy. Why is the credibility of policymakers important? Housing Slump Likely to Take Toll on 4th-Quarter Growth, WSJ: New-home sales fell in October, suggesting that the housing sector will continue to hamper economic growth in the fourth quarter at a time when business investment is also weakening. Sales of single-family homes declined last month ... 25.4% from a year earlier, the Commerce Department said yesterday. At the same time, the number of new homes on the market climbed to a seven-month supply, based on the current sales rate, up from a 6.7-month supply in September. Analysts say the high inventories suggest that builders are likely to curtail new construction in the current quarter, which will further damp economic growth. What's the Probability of a Recession? Will Globalization Cause Currency Unification? Fed Far From Inflation-Target Policy, by John M. Berry, Bloomberg: After much study and discussion, Federal Reserve officials are far from adopting inflation targeting as part of the monetary policymaking process. And even though Fed Chairman Ben S. Bernanke favors having some sort of explicit target, the outcome of the comprehensive review of the concept he set in motion remains unclear. Fed Keeps Policy Attention Firmly on Inflation Minutes of Latest Meeting Suggest, by Greg Ip, WSJ: Federal Reserve officials remain firmly focused on inflation, minutes of their last policy meeting show, suggesting that a near-term cut in interest rates remains unlikely. Since the Oct. 24-25 meeting, markets have begun to see a greater probability of a rate cut by May, in part because of softer-than-expected data on wholesale prices, manufacturing activity and retail sales. Still, the meeting minutes, released yesterday with the usual three-week lag, suggest the central bank is sufficiently preoccupied with inflation that the latest data would have little effect on its rate intentions. How last century's money wars may lead to healthcare, pension reform, by H.W. Brands, Commentary, LA Times: ...Trying as Bernanke's job ... might sometimes be, it is nothing like the task his more distant predecessors faced. The modern Fed was born nearly a century ago of a grand compromise that terminated one of the longest-running and most bitter struggles in American political history: the fight over the money question. Fed Gets Ambiguous Data, No Reasons for a Change, by John M. Berry, Bloomberg: Federal Reserve officials, faced with economic data pointing in all directions, have every reason to keep their target for the overnight lending rate unchanged at 5.25 percent when they meet Dec. 12. Economic growth slowed to just a 1.6 percent annual rate in the third quarter, and some economists, including those at Deutsche Bank, are predicting only 1 percent gross domestic product growth this quarter. The housing market is still contracting, and manufacturing activity barely increased last month, according to the Institute for Supply Management's index. 5. Show the money demand curve graphically. Show how the money demand curve shifts when income increases. 9. What is the 45 degree line diagram? What is the expenditure multiplier? 10. What is the slope of the expenditure function? What factors cause the expenditure function to shift? 11. Derive the IS curve. Explain intuitively why it slopes downward. 12. Derive the LM curve. Explain intuitively why it slopes upward. 13. What factors cause the IS curve to shift? In what direction do they shift the IS curve? 14. What factors cause the LM curve to shift? In what direction do they shift the LM curve? 15. Is the equilibrium in the IS-LM model stable? Explain. 16. Show graphically and explain intuitively how an increase in government spending affects income and the interest rate in the IS-LM model. 17. Show graphically and explain intuitively how an increase in the money supply affects income and the interest rate in the IS-LM model. 18. 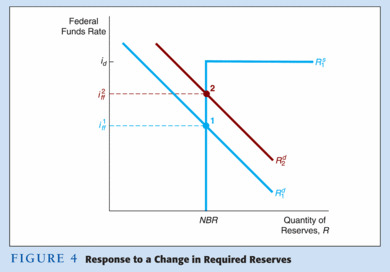 Explain why the LM curve is vertical when money demand is unaffected by changes in the interest rate (as in the classical model). 19. Use the IS-LM model to show that monetary policy becomes more effective relative to fiscal policy as money demand becomes less sensitive to the interest rate. Explain the result intuitively. 20. Explain why investment is less sensitive to interest rate changes in recessions as compared to when the economy is operating closer to full employment. Explain why the IS curve is vertical when investment is completely insensitive to changes in the interest rate. 21. Use the IS-LM model to show that fiscal policy becomes more effective relative to monetary policy as investment becomes less sensitive to the interest rate. Explain the result intuitively. What does this imply about the use of monetary and fiscal policy over the business cycle? 22. Show that the Fed cannot continuously hit both a money supply target and an interest rate target, i.e. that it must choose one or the other. 24. Do changes in the money supply and government spending affect output in the long-run? Explain using the IS-LM model. 25. Derive the aggregate demand curve from the IS-LM model and explain intuitively why it slopes downward. What factors cause the AD curve to shift? In what direction do they shift the AD curve? Econoblog: How Much Do Election Shakeups Affect the Nation's Economy? Fed chief urges loan awareness, LA Times: With the explosion of financial choices, consumers must continually sharpen their assessments of whether certain mortgages or other investment products make sense for them, Federal Reserve Chairman Ben S. Bernanke recommended Wednesday. "Some evidence, including recent Federal Reserve research on consumers holding adjustable-rate mortgages, suggests that awareness could be improved, particularly among borrowers with lower incomes and education levels," Bernanke said during a conference on community development. Treasuries a tad firmer, Fed's hawkish Lacker weighs, by Lucia Mutikani, Reuters: ...Richmond Federal Reserve President Jeffrey Lacker, who in recent months has been the most hawkish Fed member on inflation, said the U.S. economy can withstand further policy tightening and that his outlook for inflation was "discomforting." Lacker's remarks caused Treasuries to surrender earlier gains, with prices slipping into negative territory. "Lacker's comments about inflation did not help the market and they are not going to be positive for bonds going forward," said Don Kowalchik, a debt strategist at A.G. Edwards & Sons in St. Louis. Benchmark 10-year notes traded 1/32 in price for a yield of 4.67 percent, compared with 4.66 percent shortly before Lacker's initial comments and versus 4.68 percent late on Friday. Bond yields and prices move inversely. Why Fed Might Keep Rates on Hold Longer Today Than It Did in 1995 By GREG IP October 23, 2006; Page A2: WASHINGTON -- Investors looking for a road map to the Federal Reserve's next moves on interest rates often look to 1995. At the time, the Fed had raised interest rates steadily after a long period of unusually low rates. With the U.S. economy slowing, it paused for five months and then started cutting rates. Many investors have been looking for that cycle to repeat itself and expect the Fed, which last raised interest rates in June, to begin cutting rates at some point in the next few months. Higher inflation makes rate cut unlikely, by Daniel Pimlott and Krishna Guha, Financial Times: US consumer prices fell in September as oil prices declined, but core inflation remained elevated making it unlikely that the Federal Reserve will consider cutting interest rates any time soon. These are homework/review questions for the first exam. The list is extensive - it covers all the topics we covered in class (some of which we will cover next week). Knowing these questions well is a good study guide for the exam. 17. Derive the money multiplier when people hold currency and when banks hold excess reserves. Is the multipliers larger or smaller than the simple money multiplier, i.e. when currency held and excess reserves are both zero? Explain. 23. What is meant by the phrase lender of last resort? Why is this important? 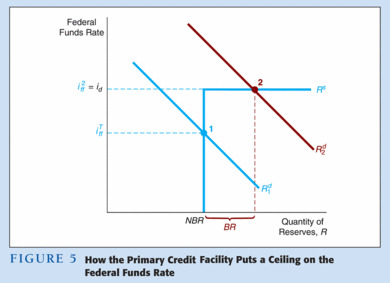 Explain and show graphically how the Fed uses discount rate policy to act as a lender of last resort and how this limits the amount the federal funds rate can rise. Minutes of Federal Open Market Committee, September 20, 2006 (released 10/10/06). Here are two additional readings, one by Frederic Mishkin (author of your text) on globalization of the financial system, the other by William Poole, president of the St. Louis Fed on the conduct of monetary policy. These are reprinted from my main blog - these two posts didn't generate a lot of comments, but if you want to read what's there, they are here and here. Fed's Kohn Says He's More Concerned About Inflation Than Growth, by Craig Torres and Scott Lanman , Bloomberg: Federal Reserve Vice Chairman Donald Kohn said he's more concerned about persistent inflation than slowing growth in an economy that's likely to avoid a recession. As per class. See here as well.